Last week Crestron, a leading manufacturer of advanced control and automation systems announced the winners of the Crestron UK Integration Awards 2009. Now in their second successful year, the Crestron UK Integration Awards celebrate the achievements of those integrators who have embraced Crestron’s Total Technology and all its possibilities, to create some of today’s most spectacular and innovative system designs. "The standard of entries is testament to the high quality of Crestron integration being carried out by our dealers. It is a privilege to see what is being achieved with our technology and to recognize the hard work of those who have helped us get to where we are today" said Crestron UK Managing Director, Robin van Meeuwen (http://www.crestron.co.uk). The winner of the above £250K category was T&T Automation – Europe (www.tandt-automation.com). The award was given base on work done the Hillside House, a retro-fit custom installation within a large house located in South East Essex. 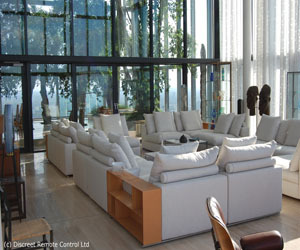 T&T Automation was the recipient of the Crestron Award for “Creative GUI” and “Best International Home” in 2008. The Hillside House project includes distributed audio and video and the control of lighting, heating, ventilation and air conditioning, gate access control, CCTV, room to room intercom and whole house paging and a voice and data network which will all be integrated into one system. The rooms were equipped with large format touchpanels with custom designed floor plan based interfaces, making control of all aspects of the residence as simple as possible. This award was given to Maven AV Ltd (www.maven.uk.com) in the below £250K category. The award was given for work done at a newly built, open plan, two-bed apartment, overlooking award-winning beaches on Bournemouth’s south coast. Maven built the Crestron solution around the Adanto Audio Expander (AAE), a high-performance audio distribution processor with integrated multi-channel amplifier, to satisfy the client’s requirement for an expandable system. The winner of this award was Prestige Audio Ltd (www.prestigeaudio.co.uk). The award was give for work done at Swiss Chalet, “a stunning chalet with impressive energy management credentials and bags of character won Prestige Audio recognition from the judges for a highly imaginative and technically courageous solution”, according to Crestron. 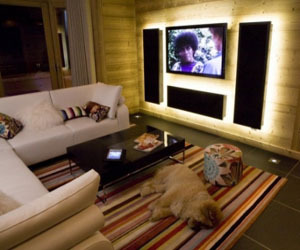 The best integrated home award went to Creative Home Cinema (www.creativehomecinema.co.uk). To win this award Creative Home Cinema delivered a comprehensive system designed for a couple of serious music lovers with a passion for karaoke. Creative Home Cinema also won the “Dealer of Distinction” last year. Custom Controls walk away with this award for work done at the top floor of the Beetham Tower, Manchester UK. The floor area covers 12,000ft² and including a 4,000ft² indoor garden. Spanning the entire top floor of the tower, the duplex apartment with indoor Olive Garden and Swimming Pool, Sauna and Steam Room. The main rooms of the penthouse benefit from full Crestron lighting control enabling scene setting and control from any location. Lighting control in the cinema to automatically dim the lights when a film starts and raise when the film is lowered! One button press to gently illuminate the living room and the garden to show the apartment at its best. In addition to the work being done on the penthouse, using Crestron technology Custom Control (www.customcontrols.co.uk) is also installing a multi-room audio, home cinema system so that the apartments will benefit from music and high definition video throughout with the owners entire CD and DVD collection held centrally on a Kaleidescape hard drive server system. Control-heating and Ventilation system to allow setting of temperatures for under-floor heating and ventilation in addition to environmental control for the indoor olive grove. This same interface will allow control of sauna, steam room and swimming pool. Integrated CCTV and Security throughout: Crestron touchpanels to show live CCTV images from around the property and security system information ensuring complete peace of mind. All cameras are recorded allowing remote viewing when desired. This award was given to Avnet Technologies (www.avnet.ie)for their excellent work at the Killeen Castle, Ireland. The Killeen Castle is Ireland’s oldest and finest 12th century Norman castles, the 600-acre estate is home to the Jack Nicklaus Signature Golf Course and will host the 2011 Solheim Cup Golf Tournament. 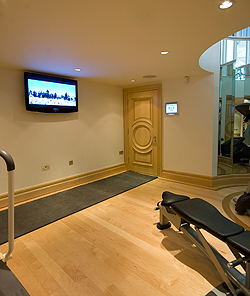 Avnet Technologies specified and designed a Crestron control system for the development of premium residential properties. The system features integrating audio, video, lighting, security, HVAC, access control Cisco IP phones, IPTV, watering systems. The winner was Imagine This (UK) Ltd (www.imaginethis.uk.com) for "Best Home Theatre". Imagine this was also the winner of last year ‘Brilliant Lighting Design’. This year’s award was for the installation of a THX ISF reference High Definition home cinema at a private home at Forest Drive. 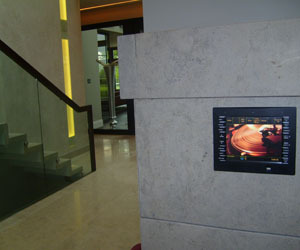 The company used the Crestron TPMC8x in-wall docked solution. They have had to programmed the system to allow access on fingerprint recognition, initiating the ‘start your seats’ program, dimming the lights and starting the entertainment.